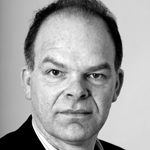 Hauke Janssen joined the German weekly Der Spiegel from Hamburg University in 1991 and worked there as a researcher and fact checker. In 1998 he became director of the research and fact-checking department at Der Spiegel and since 2000 he has been the director of Spiegel Archives too. He is also an economist working in the field of the history of economic thought.